Kim has an MBA from Sydney University and has been with PepsiCo for over 10 years including 6 years in Asia, launching new businesses in Vietnam and Pakistan. Kim then spent 4 years back in her home country, Australia, where she was the CMO for Australia and New Zealand and during that time was recognized through the Chairman Award for launching PepsiCo’s first Stevia Cola. Kim made the move to US to lead the sports marketing for Pepsi Beverages North America where she leads the Sports Marketing strategy along with all league, team and athlete relationships. PepsiCo has put sports at the centre of its marketing strategy for years, working with the NHL, the NFL and MLB. 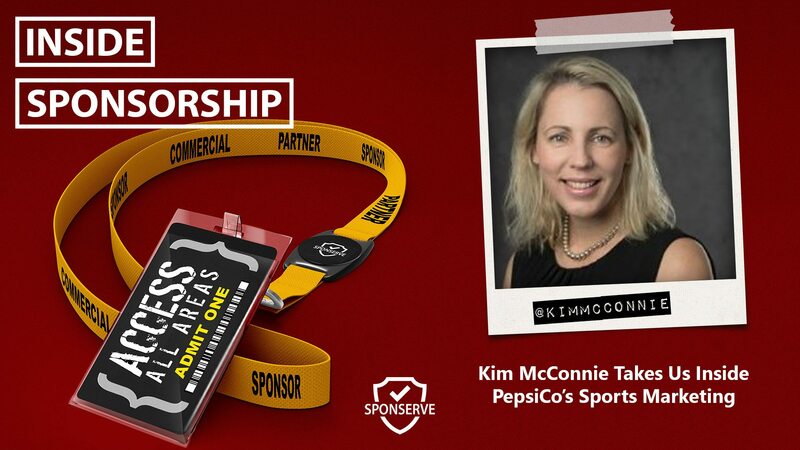 Kim has taken PepsiCo’s position in sport to a new level including securing its newest major league deal in partnering with the NBA and wrestling the relationship from Coke who had a 28-year run with the NBA. Many of the other key platforms Kim’s team brings to market is Dew Tour and Super Bowl Halftime Show. We also catch up with our MD, Mark Thompson, to discuss his latest blog which looks at 5 things non‐mainstream rights holders should be doing in attracting sponsorship. Interestingly, however, as I spoke to Mark, a lot of what non‐mainstream rights holders should be focussing on are things that everyone should be doing anyway as best practice sponsorship management.